What it is: Apple patented a road side navigation rendering invention most likely as part of Apple Maps. If you look at the above image from Apple’s latest patent filing, you can see that it displays road signs as part of showing you directions on a map. Most likely this is part of Apple’s update to Apple Maps, but it could also be related to Apple’s augmented reality efforts as well. When using Apple Maps, this patent could display street names to help you navigate, but most drivers will rely on audio instructions since it allows them to keep their eyes on the road. However for augmented reality, such rendering of street names and other landmarks can be more valuable because you can hold your iPhone or iPad up in the air and see exactly which direction you should be heading to get to your desired destination. For example, suppose you’re walking through an airport. Instead of displaying street names, augmented reality could display store names or building names to help you navigate through your surroundings. Toss in the idea of smart glasses and you’ll be able to see where you’re going without having to hold an iPhone or iPad at all. Apple’s patents give you a clue what they’re working on for the future. While not all patents turn into products, they do point to what Apple is working on. This latest patent shows that displaying street names in real-time can be handy and useful for directions and augmented reality. You may see more of this patent in coming Apple products soon. To read more about the latest Apple patent, click here. What it is: Apple Maps recently added public transit directions to countries such as Australia. When Apple originally launched the iPhone, they relied on Google for the YouTube app (where Google had to convert all Flash videos into HTML5 video formats). However, Google’s biggest contribution to the iPhone was Google Maps that offered walking, driving, and mass transit directions. When Google kept improving Google Maps on Android but failed to keep updating Google Maps on iOS, Apple took matters into their own hands and developed their own mapping app called Apple Maps. Initially Apple Maps was noticeably worse than Google Maps, with pictures showing skewered bridges, highways, and buildings. Even worse, Apple Maps lacked public transit directions that Google Maps had offered for years. Now Apple Maps is gradually improving and starting to offer public transit directions for many cities and countries. Yet Apple Maps is still behind Google Maps. This might seem like a problem, and it is. However, the reason Apple had to go with their own mapping app lies in the fact that Google had originally dragged their feed on updating Google Maps for iOS so Google Maps on Android would be superior. This put Apple in a position of relying on a rival for a major feature of the iPhone. Perhaps an even more important point is that Apple had plans for mapping that required their own technology. Using iBeacon, Apple plans indoor mapping, and Apple’s latest augmented reality plans require knowledge of locations such as major buildings, stores, and streets. By relying on a rival’s technology, Apple wouldn’t have been able to innovate with mapping on their own. The end result is that Apple Maps is still inferior to Google Maps in terms of features such as public transit directions. The future though points to Apple controlling its own mapping technology and using it for indoor mapping and augmented reality, which would not have been possible if Apple had relied on Google Maps forever. For Apple to jump into the mapping business with little experience shows that they’re not afraid to offer consumers a worse experience for long-term future gains. Apple Maps still isn’t as good as Google Maps, but it’s often adequate for most people. By reducing their dependence on Google Maps, Apple forced Google to update Google Maps to convince people to download and install it. Apple Maps might never equal or surpass Google Maps, but it doesn’t have to. It just has to be good enough for Apple to exploit their other initiatives such as indoor mapping and augmented reality. That goal alone is worth the short-term problems that Apple Maps introduced and that will slowly be forgotten as Apple Maps gradually improves. To read more about Apple Maps improving in countries like Australia, click here. What it is: Apple Maps is Apple’s version of Google Maps that provides directions for walking, driving, or public transportation. When Apple introduced Apple Maps in 2012, it wasn’t very good compared to Google Maps. Apple Maps lacked public transit directions and its images and directions were often wrong or garbled. Compared to Google Maps, Apple Maps still looked like a beta version. The main reason why Apple chose to create their own maps was because Google was dragging their feet on improving Google Maps for iOS while adding more improvements to Google Maps for Android. Google was deliberately making Google Maps on iOS less featured than Google Maps on Android, which is a similar tactic Microsoft used to make Excel on the Macintosh less capable than Excel on Windows (even though Excel originated on the Macintosh). That’s why Apple created Apple Maps to free themselves from dependence on Google Maps. Google claimed they needed additional money to improve Google Maps on iOS, but as soon as Apple released Apple Maps, Google improved Google Maps for free on iOS to compete with Apple Maps. Yet for years, Apple Maps was and still is inferior to Google Maps. Fortunately, Apple Maps keeps steadily improving to the point where it can do most things Google Maps can do. The one glaring flaw has been public transit directions, but now Apple Maps recently added public transit directions for Vancouver and San Diego. Apple Maps still has a long way to go to catch up to Google Maps, but at least they’re progressing in the right direction and the existence of Apple Maps has forced Google to keep improving Google Maps on iOS. In that regard, Apple Maps is a success for Apple. With steady improvements, Apple Maps is slowly becoming decent for users as well. 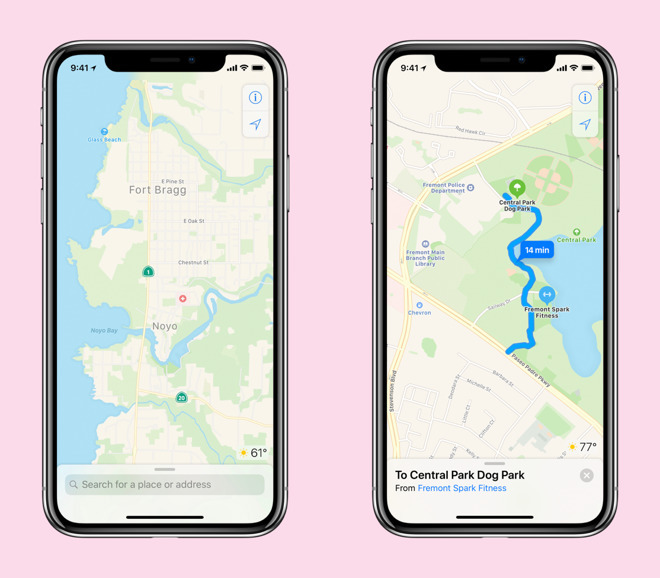 Apple Maps still has a long way to go to catch up to Google Maps, but by owning their own mapping technology, Apple no longer needs to rely on Google to make the iPhone useful. If you’re still using Google Maps, give Apple Maps a try. You might be surprised that it works just as well as Google Maps, but you might also be surprised to find out it’s still lacking in many areas. Apple Maps is more of a benefit for Apple at this point, but in many cases, it works just as well as Google Maps. just make sure it works just as well as Google Maps in your area before you rely on it completely. To read more about Apple Maps adding public transit directions for Vancouver and San Diego, click here.